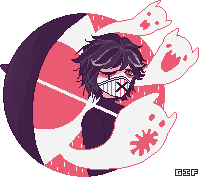 A wonder pixel to suit my Tsuki one! sew cute! 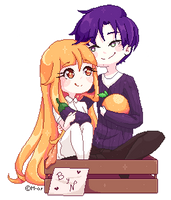 i love your artwork! Thank yah! I've been doin' well. Just being a busy bee as usual. She looks so happy bouncing up and down~ hehe, me likes! I like your pixel work. you do a good job. There isn't really a specific dimension for pixels, this ones around 100 pixels, 200 pixels when magnified x2 like this is. Just depends on what style you're goin' for.